Are you someone who has a passion for hair? Do you like to help people look good and maintain self-confidence? Do you love doing Makeovers? 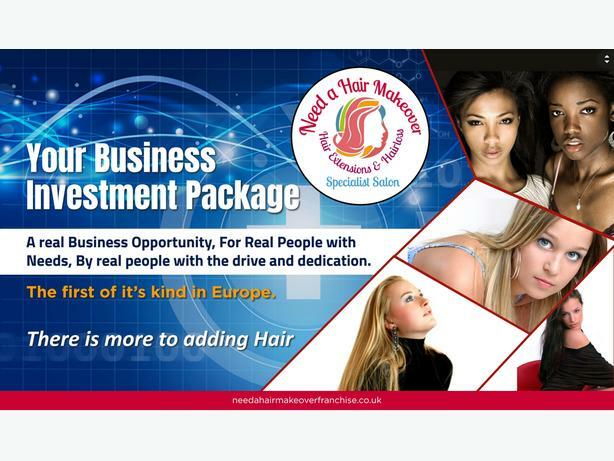 Would you be interested in using your passion to set up an exclusive hair extensions and hair loss Specialist Salon? 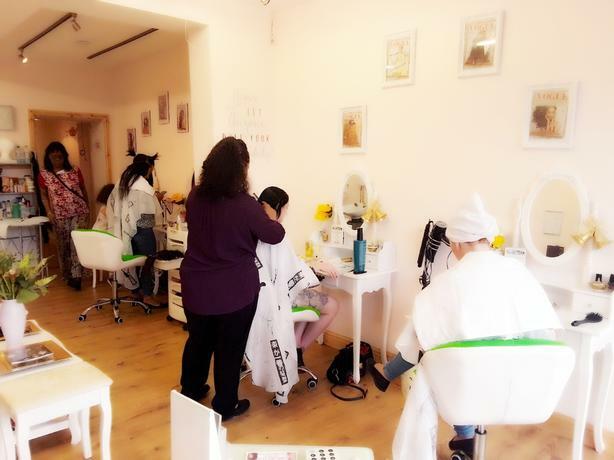 Then you'll find a massive opportunity here at Need A Hair Makeover Franchise! For many people in Britain and throughout Europe, hair loss, thin hair and damaged hair is a major problem. You can help them to get all the help that they need for a full-on hair makeover with the simplest of solutions. 	Duplicate a real, genuine business that allows you to help others. 	Set up a business that consistently provides an impressive return on investment. 	Put together a business that helps you assist real people with genuine needs. 	Develop a meaningful career path for yourself that has rewards for years to come. Delivering a Hair Makeover: Is This For Me? A service which is massively in-demand across the United Kingdom. From Glasgow to Bristol, Liverpool to Watford. This is a genuine business opportunity with a proven chance of success. 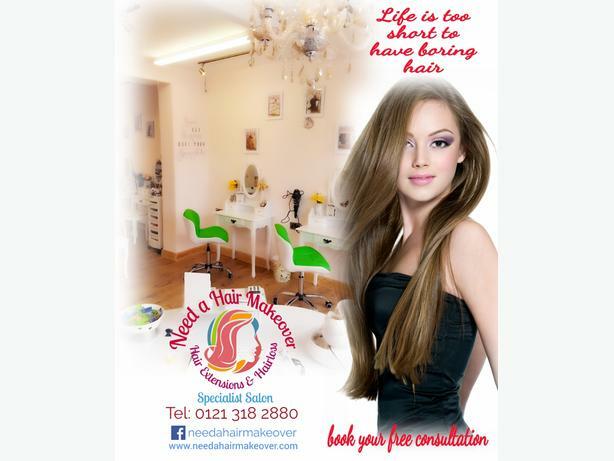 If you would like to know more about the Franchise and would be interested in setting up your own specialist salon for the long-term, you can request a brochure today.